Remaking regulation—for a contingent, contextual and connected world. We are in urgent need of regulatory innovation. Globally, the affirmation of this sentiment is increasingly visible in the evolving discourse, along with the worldwide adoption of emerging tools such as regulatory sandboxes. However, beneath the buzz, hype and Kool-Aid, ultimately this trend is being driven by structural realities. Regulatory Explosion — Over the course of the last few decades we have witnessed an explosion in regulation and legislation, both in quantum and by a multiplicity of stakeholders beyond the national state (implications of trade agreements, global compacts etc). This is a de facto and predictable response to an increasingly complex digital economy that people are seeking to regulate by analogue means. In this world, increased regulation isn’t just a temporary challenge — it’s the new reality. Research from Thomson Reuters published in its 2013 Q3 Trust Index showed that the global increase in just “financial regulation” tracked an average of 110 regulatory changes every day in the third quarter of 2013, about double the daily updates the tool recorded during the same period in 2010. Through September 2013, the number of tracked regulatory alerts that year had already reached an all-time high of 18,986. Whilst this increasing regulatory burden does have costs , it does also provide a means to create structural lock-in and walled gardens for incumbents — a useful if expensive means to preserve growing monopolies of power. Burn The Red Tape — The response to this regulatory inflation has been part knee-jerk, part political opportunism and part obvious: A. Red tape Challenges — which has specifically sought to reframe “regulation in political terms to a burden” and thereby mitigate this burden through targeted intervention and removal — facilitating a political back door to allow for the deregulation of our societies and hard won citizen rights; B. a growing informal acceptance of “non-enforcement” and non-compliance — seeding distrust in the state and its capacity for operating fairly; C. the exploration of “sunset causes” on new regulation which introduce an automatic “end-of-life” date on new legislation . Again whilst a step in the right direction the latter fundamentally misunderstands the scope of the challenge — we are seeking to regulate a networked, digital economy by an analogue means. Float to the top —Increasingly every crisis , from a failing school to a corporate scandal, ends with a call for Primary Legislation and a Parliamentary Commission . Whilst understandable, this short-circuiting is undermining a necessary system of decentralised accountability and governance developed over centuries to work with the complexities, variations of reality and replacing it with de facto top-down control (fundamentally detrimental to all concerned). We are forcing accountability to the top, to those least capable of managing it in a complex world . In doing this we are driving either regulatory conservatism (undermining innovation) or managing the demise of the political crisis by a “crisis” commission (undermining public trust) . Either way it represents a growing systemic inability to govern for the public interest — a deep crisis in the brewing. The systemic crisis we face is a crisis of governance; from VW to climate change, to the 2008 financial crisis. It is a crisis of a post-industrial society still governed and legitimised by analogue, industrial-society institutions, concepts and methods. This is not a just a crisis of government’s ability to govern on our behalf in macro sense, but a systemic crisis of of governance. How do we create the decentralised and distributed architecture of governance as opposed to offloading and passively centralising governance to the illusionary legitimacy and control provided by the state in a volatile, complex, and emergent world? Out-of-date and Out-of-scope—Much of our legacy regulatory regimes are still framed and governed for an industrial economy or a pre-data/internet economy and the associated mindset. Furthermore, they are struggling to address the capacity of current innovation to break market boundaries. An example of this is Citymapper’s Service — a bus, a cab and taxi . It’s a new hybrid — which requires a new mode of thinking in terms of regulation. Historic legislation just won’t do. How do labour laws apply in a gig economy, how do consumer laws apply in a co-production economy, how do we legislate social media platforms in terms of fake news and electoral manipulation etc.? This category-busting quality of the new smart economy is increasingly creating unfairness in the operations of existing markets whilst also stranding citizens and societal institutions exposed to exploitation and manipulation. Unlocking the Opportunity—Finally, and perhaps most critically we are witnessing a failure to understand and accelerate the possibility and growth offered by new technology. How can smart outcome-driven legislation unleash product and service innovation; how can real-time compliance reduce risk but facilitate greater innovation; what does real-time, data-driven regulation mean for our historic economies, what does it mean for freight, real-estate? How does smart regulation open up the unprecedented capacity for contingent, contextual and connected regulation and Public Interest Governance. 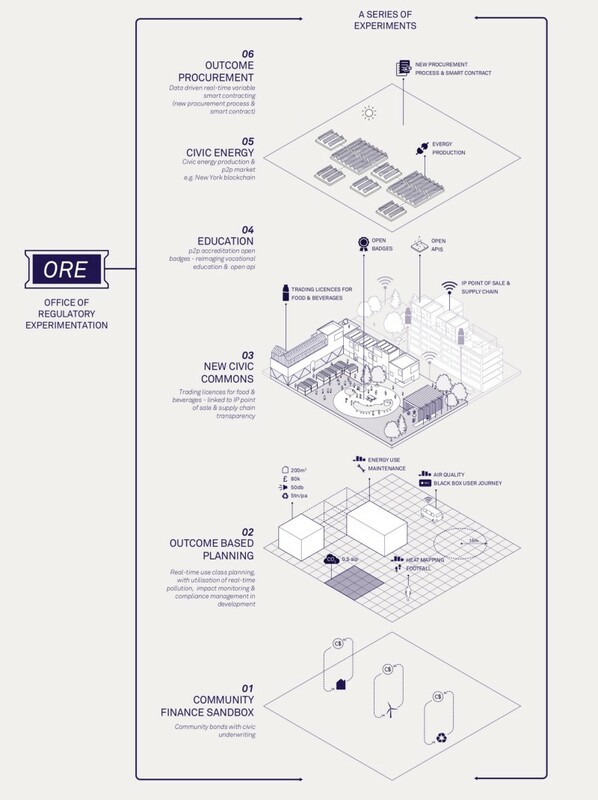 To place this opportunity most literally — what would happen for example, if we no longer planned cities zonally through static and analogue means but instead re-imagined “planning” through real-time, data driven outcomes, pricing and impacts ? This is increasingly a possibility, a reality which has the capacity to drive the total reinvention of our cities in ways as yet only imagined in architectural manifestos. What is clear, is that we need to shift from regulating the ghost of the industrial economy to the reality of networked economy, if we are to properly unlock its benefits and mediate its impacts and potential damage. The systemic crisis we face is a crisis of governance; from VW to climate change, to the 2008 financial crisis. It is a crisis of a post-industrial society still governed and legitimised by analogue, industrial-society institutions, concepts and methods. Beyond ‘Burn the Red Tape’. We go beyond the “Burn The Red Tape” narrative. Public sector innovation has, at least in the Anglo-Saxon economies, been reduced by political ridicule to ineffectiveness by purposefully and wilfully ignoring the history and necessity of regulatory and institutional innovation. Innovation can be a key symbiotic partner of growth in our society and economy. This is a reality eloquently articulated by Professor Mariana Mazzucato @MazzucatoM in her book The Entrepreneurial State in which she unwinds this myth, arguing that innovation is essential to unleashing the full capacity of our 21st-Century economy. Embracing the 21st-Century economy needs us to embrace with full gusto the need for real structural public sector innovation and the associated rebuilding of statecraft. This future needs us to both reimagine the institutional infrastructures of regulation and public interest governance in a fully digital, connected and data-driven age but also our tools, means and capacities to implement it on the ground. How do we publically consult a smart green “paper” and its algorithmic policy? How do we drive accountability into policy, driven by machine-learning? How do we verify real-time compliance? Most importantly, how do we transform these into interventions and experiments in the real-world. Building Capacity and Capability. Achieving the above requires us to invest in rebuilding the public sector and address a lack of capacity and capabilities. This will require a net growth in the public sector . Let’s just accept this — it’s a necessity, as we seek to transition from one regulatory institutional regime to another , the biggest transformation for over 100 years. The social and economic benefits of this will be relatively unmeasurable, whilst creating a secure landscape for investment in equitable and inclusive markets and societies for all our futures. Building New Structures of Legitimacy and Public Trust across the System. If we are to create a new regulatory regime capable of operating in the volatile, complex and emergent world , technological optionality is not sufficient. We will need to build a decentralised and distributed regulatory regime — which by necessity requires rebuilding trust and legitimacy beyond the apex of parliament. We need a decentralised and distributed architecture of legitimacy, accountability and trust for the public interest. The pathways to this are both complex, cultural and sequential, but fundamentally critical for driving a meaningful, inclusive regulatory future. Regulation and Shared Governance. Increasingly, we are recognising regulation for an ever-evolving Smart 21st century Economy will not only change the technology of governance for public interest, but also the fundamental organisation. We will rely on a hybrid of data and algorithm transparency, high-level codes of compliance and accountability, continuous agile iteration of smart parametric regulation, smart compliance bots, and so on. But perhaps most fundamentally, this is a future that will require more shared and open models of co-governance ; between the “state or other Public Interest actors” and the wider innovation economy — transcending the passive-aggressive relationship we have become accustomed to. This shared governance model is essential if we are to proceed and support the unboxing of innovation and experimentation into the real world, unleashing it from the ivory laboratory, with all its possible unintended consequences. This future requirement builds on the direction of travel offered by the regulatory sandboxes we increasingly see across the world, but perhaps views them as an essential reality of the 21st Century, rather than a temporary bridge. Cities as Spaces for Regulatory Experimentation. In a connected reality, where traditional markets and service boundaries are being unbundled, rebundled and the externalities are not linearly predictable— cities, as places of massive regulatory intersection, present themselves as crucial landscapes for experimenting and developing the future of Public Interest Governance and institution regulatory infrastructure. Place-based regulatory innovation and the development of new public “Offices for Regulatory Experimentation” will be critical instruments in developing this future. Together, this proposed stack of intervention provides a framework for driving the structural regulatory and institutional innovation vital to achieving the scale of progress necessary both in terms of unlocking “growth” and also addressing the wicked challenges facing us in our survival as a civilisation, if not a species. 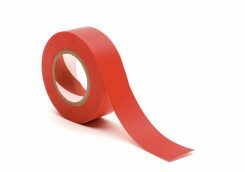 Our future cannot be made by burning the “red-tape” but instead by making it agile, evolving it in all senses to make it fit-for-purpose. This is a future in which we need to simultaneously design markets fit for the 21st Century, and design for markets fit for the 21st century. Only in rapid synchronicity can we move forward. Indy Johar is partner at Jericho Chambers, Co-founder of Project 00 and Dark Matter Laboratories, and Senior Innovation Associate at the Young Foundation. The above article, originally published on Medium, reflects a series of learnings from regulatory futures projects Dark Matter is involved in globally, and builds on a recent discussion hosted by @jerichochambers and the Go-Ahead Group on the Future of Regulation. A previous article on other themes related to Innovation’s Boring Revolution is available to read here.